Welcome Christmas, come this way, Universal has lots of fun on this bright and merry Wholiday….errr…Holiday! 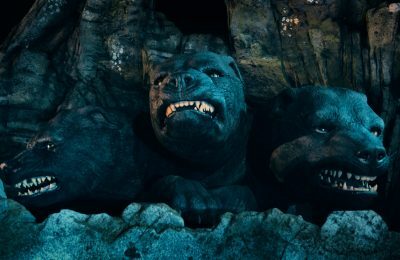 Universal Orlando has kicked off their annual Holidays celebration at both Islands of Adventure and Universal Studios. The parks are covered in Christmas decorations, and the holiday cheer is spread throughout the entire area. But something naughty lurks as Christmas draws closer, as well as something nice. The naughty isn’t bad, however, and the nice just tends to shine with tons of fun for the whole family. What kind of fun? Well, there’s parades, and who-biliations, and a giant purple hippopotamus…and then there’s, The Grinch. Front and center of the Holiday Whobilation is the green one himself. The Grinch has taken over Islands of Adventure and is bringing his naughty habits to good little Who boys and Who girls, and to your family and others all over the world. 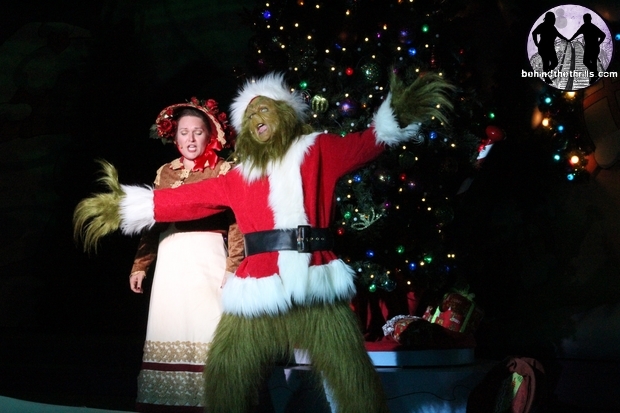 Grinchmas at Islands of Adventure brings the story of “Dr. Seuss’s How the Grinch Stole Christmas” to life with a larger than life stage show, music and of course…The Grinch. 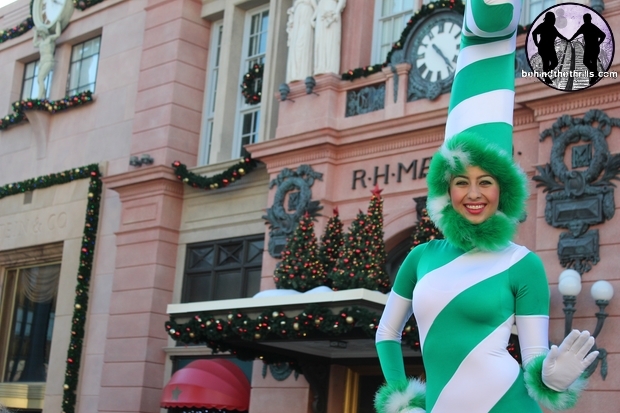 The Grinch is just one of the many things happening at Islands of Adventure. 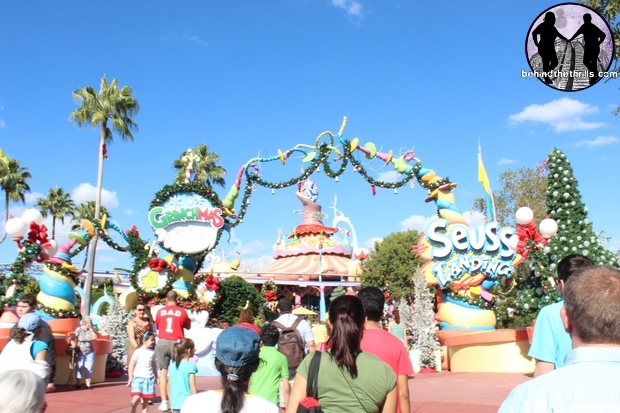 Seuss Landing is also turned into Whovilefor the Wholidays…err…Holidays. From there noses, all the way down to their shoes, no one loves Christmas, more than the Whos. The Who’s make their way out to mingle with everyone, and to get ready for the Whobilation which happens every single night. From special photo ops, to games, there are Who’s of all shapes and sizes. Right next door at Universal Studios Florida, the Macy’s Day Parade takes off daily. Before the parade, you can see characters decked in Christmas gear roaming the streets, and meeting guests. The parade happens daily at around 5p.m. and the characters come out around 3p.m. to start interacting and talking with guests. The park decorates with tons of balloons direct from the Macy’s parade in New York. The balloons either are the same ones that have been used, and retired, or they are directly inspired by the balloons. There are dozens of balloons, all ranging in size from extremely small, to massively huge that are used in Universal’s version of the Macy’s Parade. 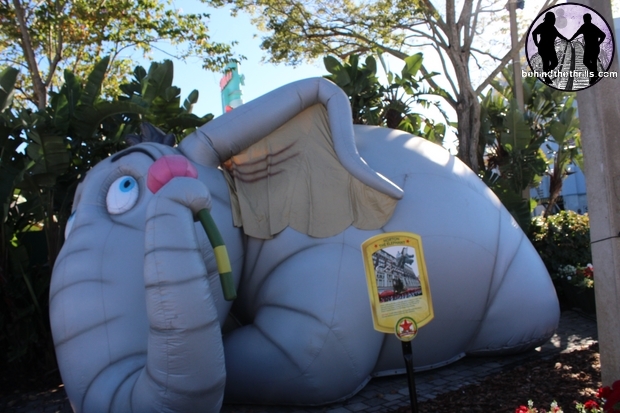 New this year is the Happy Hippo, which was designed specifically for Universal Orlando. 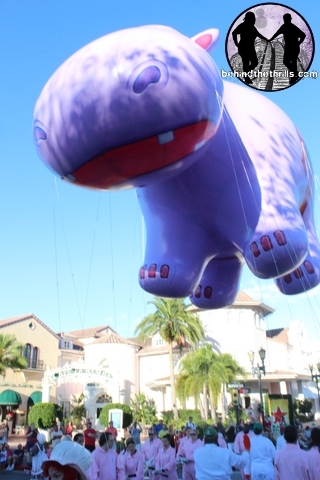 The hippo was used in the parade, and brought to Universal specifically to be used for a mini show. The hippo goes along with the song “I want a hippopotamus for Christmas” and actually has very fun story behind it. Watch the video below as Universal show director Lora Wallace, and Macy’s Parade Studios John Piper explain why Universal Orlando is getting a Hippopotamus for Christmas! The hippopotamus show uses tons of characters from the parade, who all sing and dance to the classic Christmas song. The hippo show happens before the parade, daily, so be sure to check your park map for times. 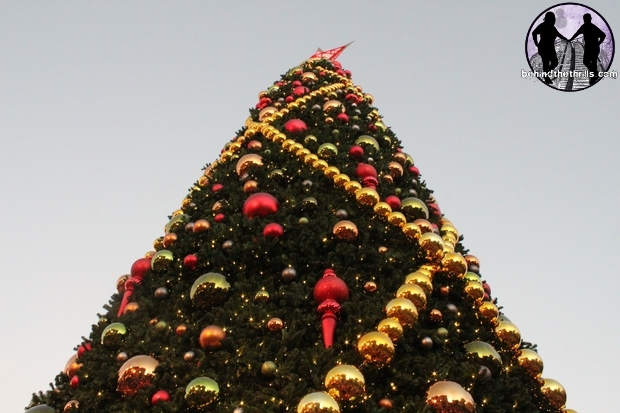 So what else is there to know about Holidays at Universal Orlando? Well, the biggest thing is that it’s all included with park admission. 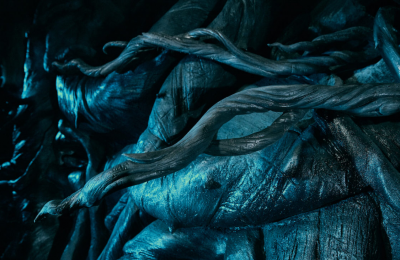 However, we do have a special guest to show you a little more about what happens with Universal Holidays, and shows you exactly what to expect. The biggest piece of fun at Universal happens once again this weekend as the definitive Christmas band, Mannheim Steamroller plays a concert both Saturday and Sunday nights. The last weekend to enjoy Mannheim Steamroller will be December 21st and 22nd. Concerts are free with theme park admission. With so much happening, here are some tips and must see Christmas happenings at Universal Orlando! Lines for Grinchmas get really long, the earlier in the day you can see it, the less of a wait you will have. Kidzone characters are ready for Christmas with an yuletide celebration with Scooby Doo and Shaggy, Curious George, Woody Woodpecker and more! The Macy’s Parade is hugely popular, so be sure to stake out your spots early. The best place to see the parade is right in front of The Mummy, as Santa lights the huge tree as he passes it! Be sure to check out the onsite hotels for a long winter’s nap, and several amazing Christmas traditions of their own! Want to see the entire Macy’s Parade at Universal Orlando? Check out our full length video of all the fun below! Be sure to stay tuned for more yuletide fun! Also be sure to follow along with us on Twitter @BehindThrills for the latest updates! 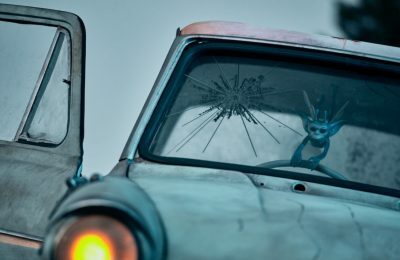 For more information, including tickets, visit the official Universal Orlando website by clicking here!